I confessed on Instagram over the weekend that I once had no interest in visiting Los Angeles. None. Zero. Zip. I don't know why exactly - I think I just assumed that the superficiality of Hollywood meant there wasn't much substance to the rest of the city. I am owning up to that mistake right here, right now. Our proximity to LA made it kind of a no-brainer for a weekend getaway. So, despite my reluctance, I sat down to research some itinerary options. Suddenly, I was overwhelmed with my options. It turns out there is quite a bit of substance to the city - so much so that two days didn't seem like enough time to squeeze it all in. We decided to focus our plans on my favorite topics: design and architecture. Even though my husband is a film buff - the kind you want on your team for trivia night at the pub - he agreed to skip the Hollywood aspect of the city and let me take the family on an architectural highlights tour. We weren't disappointed. You know I like to let the photos do the talking, so I'll leave additional comments to a minimum. Here is our itinerary at a glance: Day 1 - Arrive in LA. The Getty Museum, Eames House, Mulholland Drive, dinner in DTLA. Day 2 - Breakfast at Republique, Griffith Observatory, Hollyhock House, walking tour of DTLA, depart for San Diego. Arrive home exhausted, but with a whole new outlook on Los Angeles. 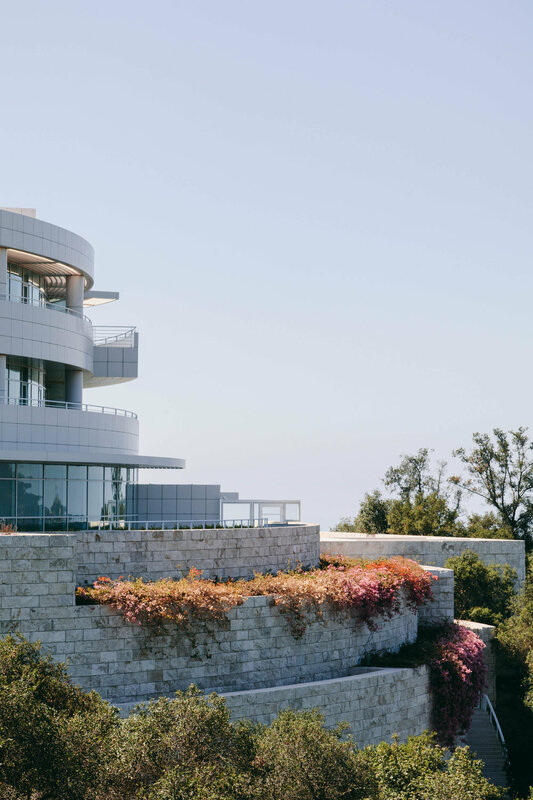 Our first view of Richard Meier's genius design of the Getty Museum. 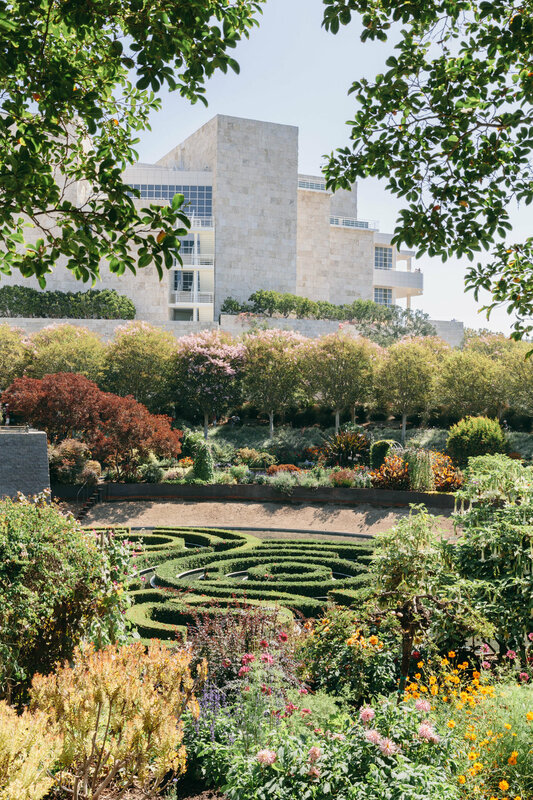 The Getty Museum is a world class art museum, but we never made it inside - the gardens and terraces were just too intoxicating. 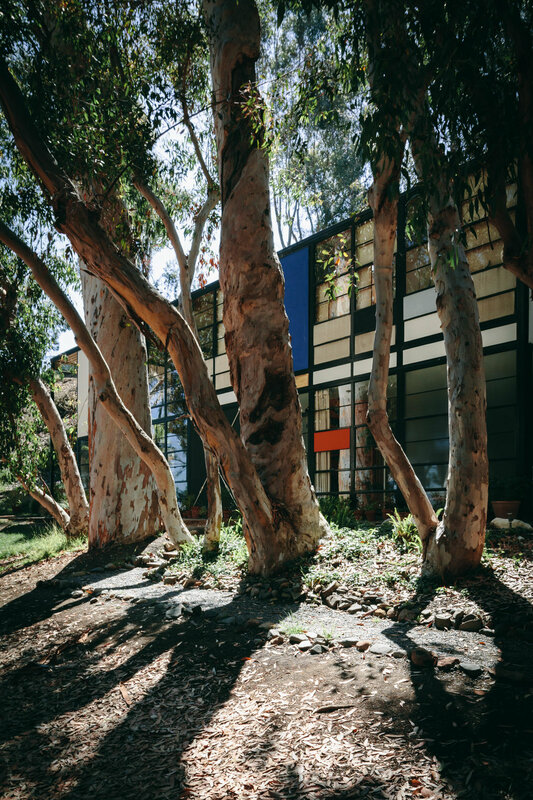 The Eames House, designed and lived in by iconic designers Charles and Ray Eames. 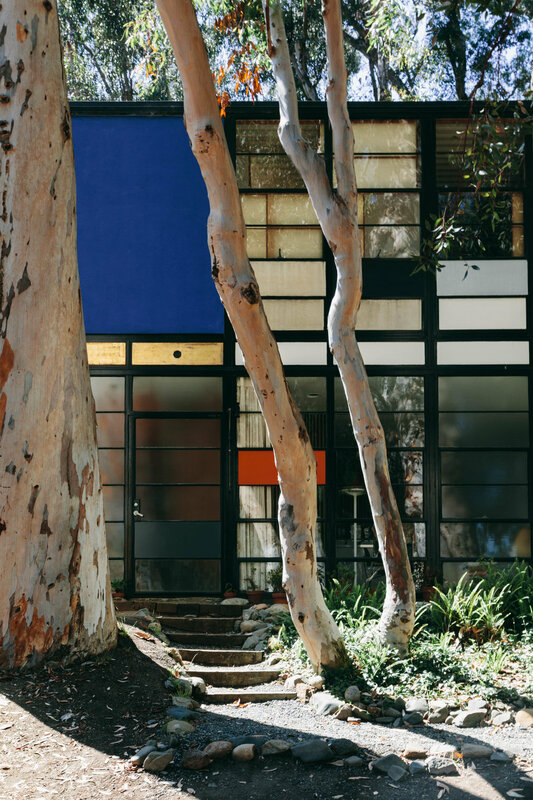 I'm a modern design fanatic, so seeing the Eames House in person was a bit of a dream for me. Nestled on a bluff overlooking the Pacific Ocean, the house is both exactly what I hoped for and nothing what I expected. The interior has been preserved exactly how the couple lived in it - and it's full of kitsch and personality and not a trace of the stark, clean palettes you so often see in current modern interior designs. 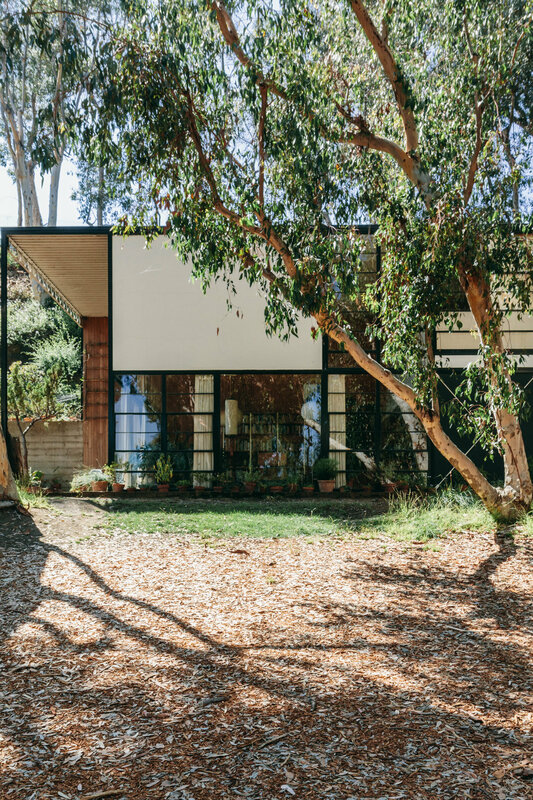 Charles and Ray believed that a house is a home, and their home looks like it was properly lived in and enjoyed. While you can only peak inside the windows unless you have booked a private tour of the interior, the exterior is well worth a visit if you are a fan. It was a joy to photograph. We finished the day with dinner at P.Y.T. in downtown LA. The restaurant has a plant-based menu that had us eating more than we should have (but it was mostly vegetables, so it doesn't count, right?) - and the interior design wasn't too bad, either. Our day was meant to end with sunset at the Griffith Observatory, but LA traffic had other ideas. So we tucked in for the night and saved the observatory for the next morning. I'll share photos from day 2 of our trip in the next post - stay tuned! 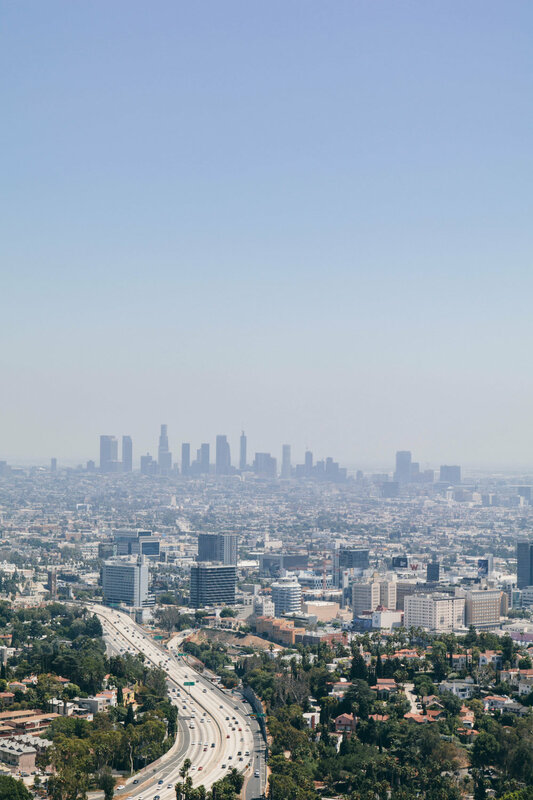 Quintessential LA, as seen from Mulholland Drive.